Some aircraft photography copyright of John Farrington, reproduced with his kind permission. Practice route entry, performance predictions, constraints etc. 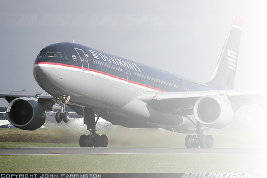 A330-200 PC Simulation. Complete in great detail. From Ground power through flying an MCDU route to Auto- Land to engine shut down. Click the picture icon for more details. More company routes. The MCDU Aid, FMGS Aid and A330 PC simulation all come with company routes. Here are additional company routes that can be downloaded for free. .Free play simulation of the Airbus FMGS based on our A330-200 PC simulation, containing an FCU, Nav Panel, PFD and Nav Display. Not only learn to enter routes and performance parameters into the MCDU, but also use the A/P to navigate the simulate aircraft in managed speed, heading and vertical modes. ISA calculator. Speeds, Pressures etc. Ever wanted to know what just got downloaded onto your PC? Vital Simulation is the trading name for the simulation products made by D. Browne for Vitanet Solutions Ltd.
20 years plus, experience in Commercial Flight Training simulators and Military Fast jet Full Mission simulators has enabled Vitanet Solutions Ltd to produce aircraft simulations to a high degree of accuracy and fidelity. device fidelity to flight simulation home enthusiasts. Our launch product is a simulation of the Airbus A330-200. The simulation is multi PC, and designed for home built simulator cockpits. This training aid combines the MCDU Aid with the full simulation of the Auto pilot and Auto thrust system with the A320 aircraft model. It will allow familiarization of the Flight Management and Guidance System of Airbus aircraft. 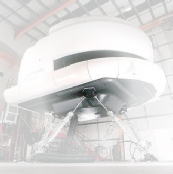 It is not a certified training aid but it does allow a free play simulated operation of the FCU, MCDU, A/P and A/THR in all modes from on ground route entry, through take off, climb, cruise, descent and on to final approach and auto land. 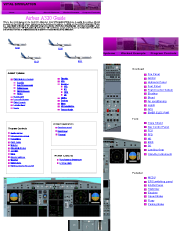 Airbus A320 flight simulator PC version. This PC simulation uses the same windows base of our other PC simulation, with a completely new A320 aircraft model. The A320 flight dynamics, FMGS and aircraft systems are faithfully modeled. Contains information similar to most of Volume 4 and Volume 1 of the FCOM for all systems. Flight simulations of the A320 and A330 both full cockpit and partial FCU/MCDU, to enable familiarization of these aircraft. We are currently updating our A330 and A320 simulations to improve their fidelity and increase the number of malfunctions available. Whilst this is ongoing we will only be able to offer a reduced support ( no further intermediate updates), therefore we now offer our products at a substantial price reduction.